A number of students from Al Falah University participated in a workshop organized by Dubai Customs at Airport Terminal (3) in order to review the mechanism of work to protect the intellectual property. The delegation also included Dr. Mohammed Najem, Dr. Nadia Al-Bayati, Dr. Anan Younis, Dr. Atef Nada from the Faculty of Law, Dr. Renhe Ramses from the Faculty of Mass Communication, Dr. Ashraf Jahimani from the Faculty of Business Administration, and a number of university students. The delegation was informed on the mechanism of dealing with large numbers of passengers and bags to be used in Dubai International Airport, and the identification of the seizures of prohibited, and the restricted items during the past years, methods of smuggling, and how the customs officers tried by their sense to discover them. 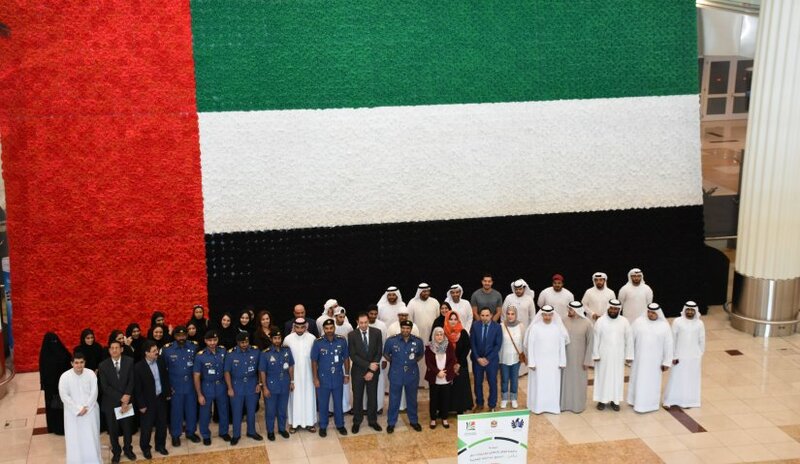 The students also learned about the skills of the Dubai Customs inspectors and their high-security sense to complete many customs seizures, in addition to identifying the facilities provided by the Department of Passenger Operations to passengers of different nationalities coming to the country through Dubai International Airport.